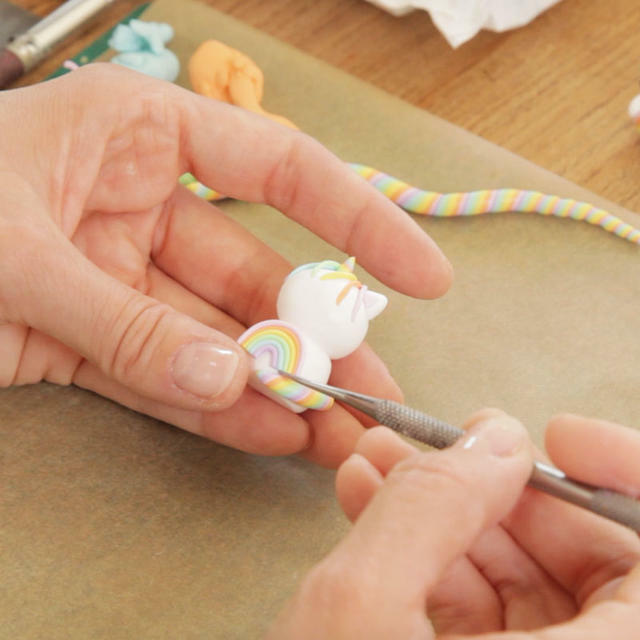 The popular British artist Lynn's lesson in now online! 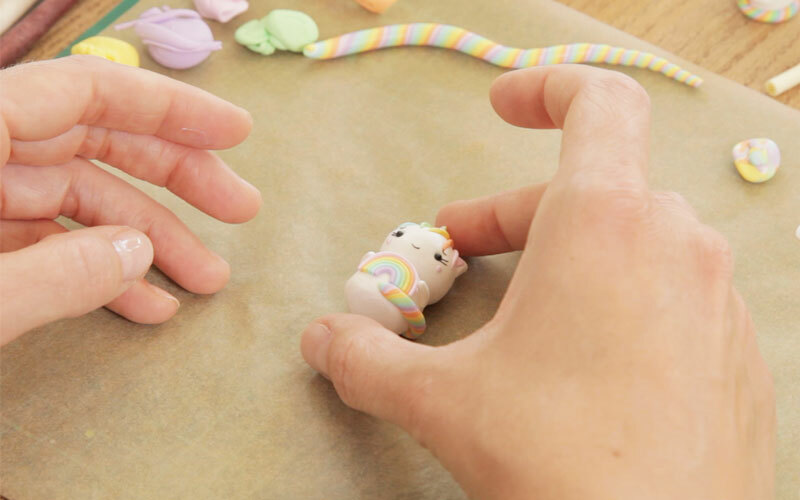 Explaining how to make a super "kawaii" unicorn charm. 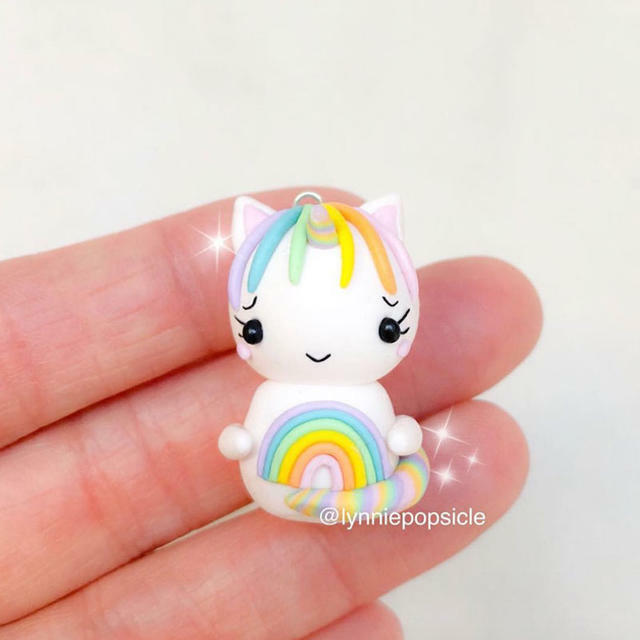 a rainbow-colored unicorn charm through her own style. whose figure is said to be akin to that of a horse or a lamb. 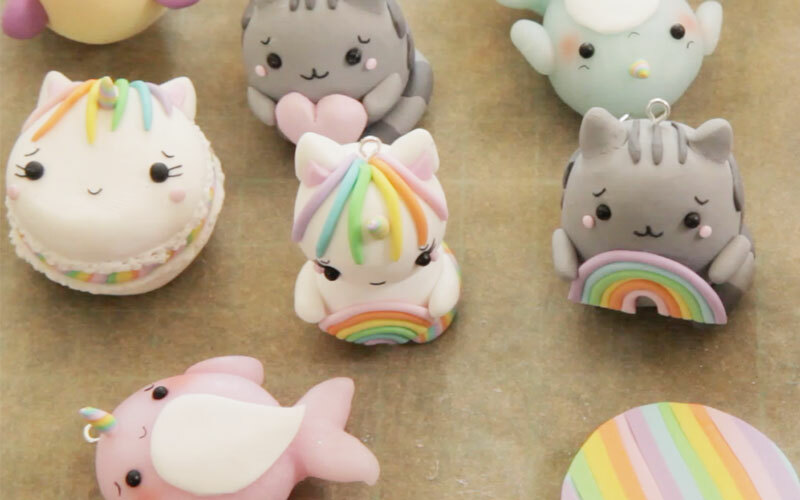 in a rather cute and colorful way, using polymer clay. lovely in every way, including the silhouette and the facial expressions. and even polymer clay newbies can follow it. So please try this out yourself! and make her face smiley, but it can also be arranged in any other ways. Make the colors lighter or darker, or make the unicorn wink instead of smile. 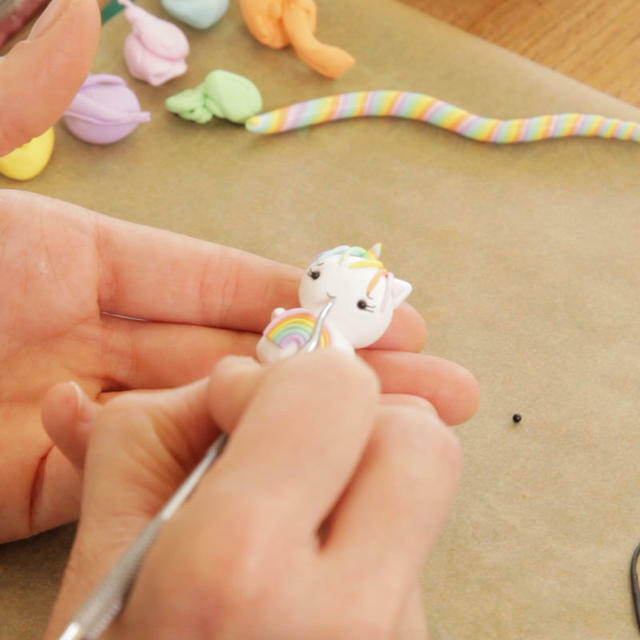 You can make your one and only unicorn. After it's complete, we are going to be putting an eye pin to make it a charm. 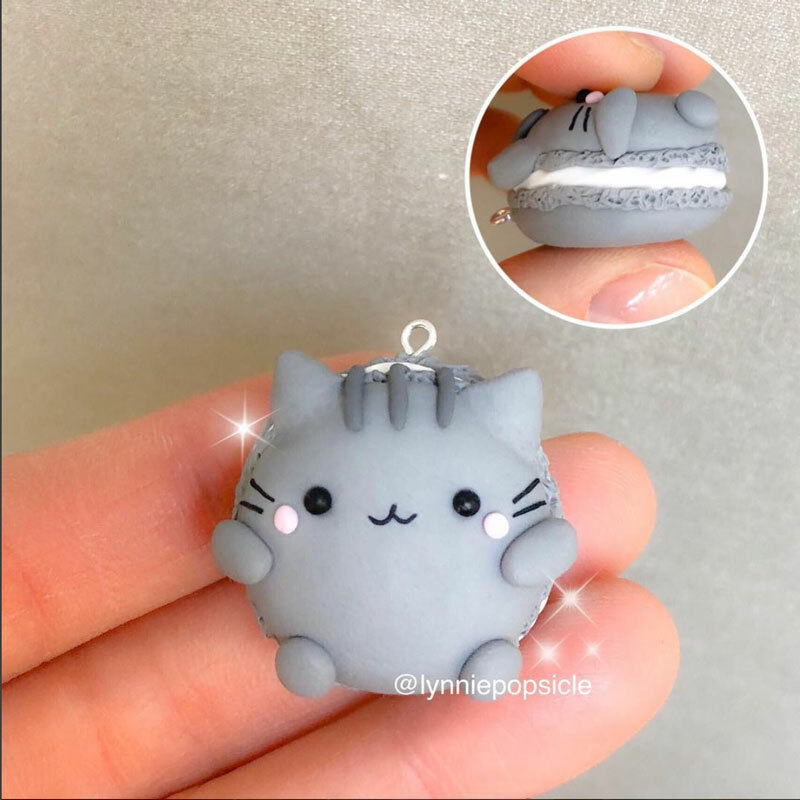 This way you can use it as a keychain or put it on the zipper of your bag. 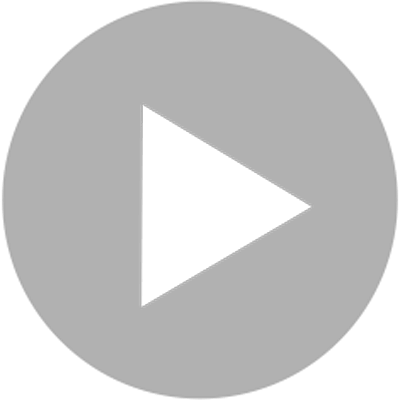 You can simply display it in your room without putting the eye pin. It will also look pretty if you make a lot of them and pose them altogether. Please try making the kawaii unicorn in your own way!